I have had my front dshaft out for a few weeks now and finally decided to do something about it. I had three shafts laying around that all needed various repairs. I took one that was too short but had a solid slip and cut that off. 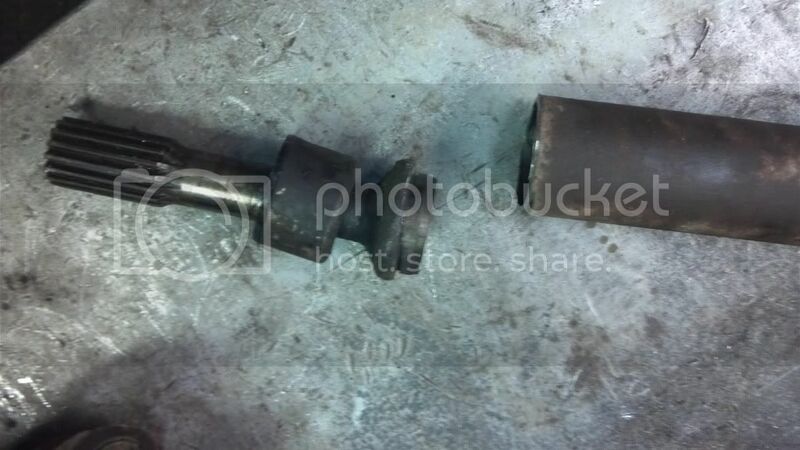 Then one that had a good cardan got the sloppy slip shaft cut off. 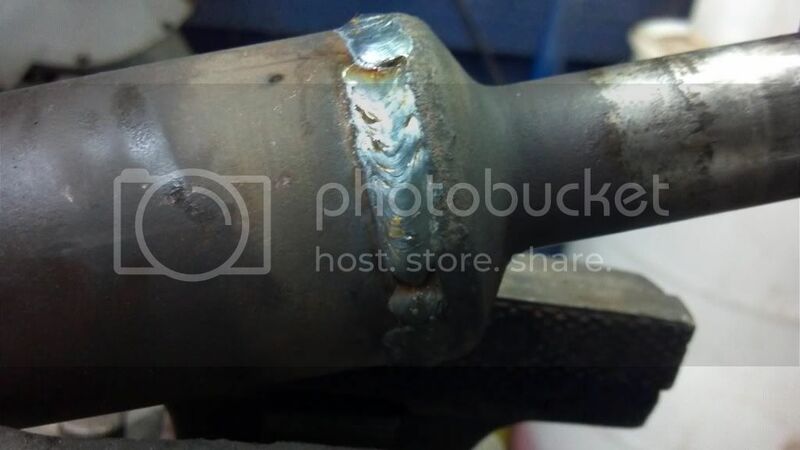 Welded everything up. I'm crossing my finners on this one. Hopefully it won't vibrate bad. Last edited by GREASYHANDS; February 15th, 2012 at 11:18 AM. If it shakes to bad just call it a trail rig and that will fix it. Stickers on the low spot. Fail. It has pleasant vibes over 50mph. Assuming you got the joints lined up right, it's off to get balanced. I built rear shaft for the boss' trail rig and it does the same thing. He don't care, it rides rocks at his place or trails someplace else. Drill a hole in it a put about a quarter of a quart of ATF in it. No more vibes. I assume the atf will balance as it spins? Should I leave the oe weights on the shaft? just leave them on test run it and if still whacked then pull them but should run fine like it is now. old school trick that works good. I plan on pulling it either way. Not sure if I will send it to Weller and have it balanced or just keep it as a spare. Only one? I think you under estimate yourself. I was thinking the same thing. Shouldn't there be one or more on the "A" pillar for a quick grab instead on fumbling with the gate? 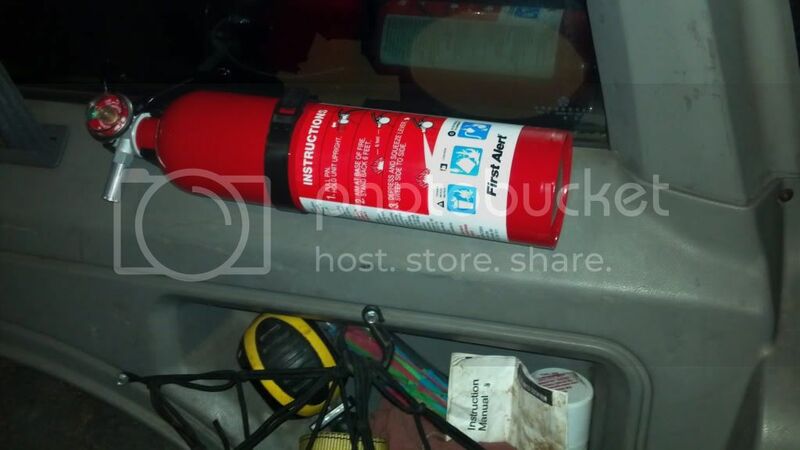 I have seen some smaller extinguishers that would fit nicely near my seat. I want to find a mag light bracket also. I almost had a fire a few weeks ago.